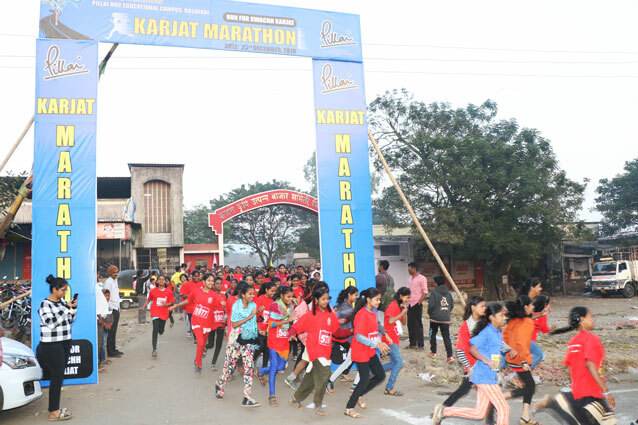 Mahatma Education Society's Pillai HOC Educational Campus, Rasayani's Karjat Marathon witnessed with mass participation as more than Three thousand people from the all walk of life participated in it. The crowd consist of children, youth, senior citizen, handicaps and many visiting tourists participated in the race with much enthusiasm. 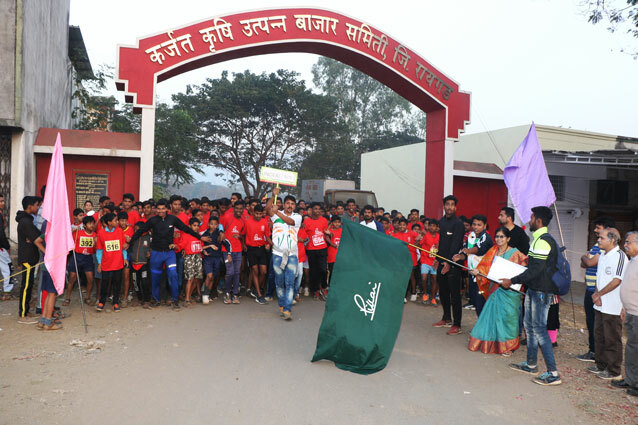 The slogan of the run was "Run for Swachh Karjat". 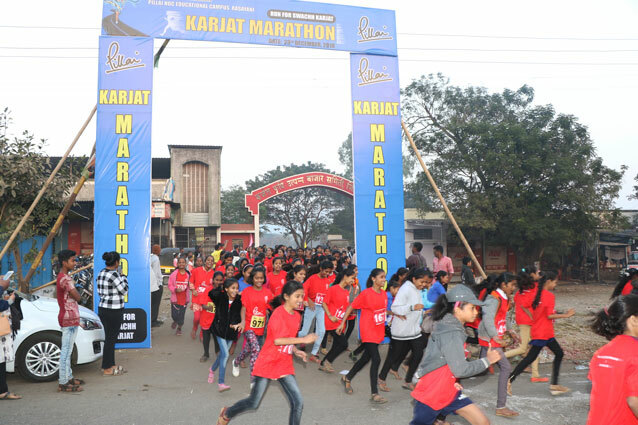 A massive crowed from 10 year old to 75 year old lined up for participating the run on a Sunday (23rd December) event. The Mini-thon conducted in as many 08 categories of 5 km, 7 km and 10 km. 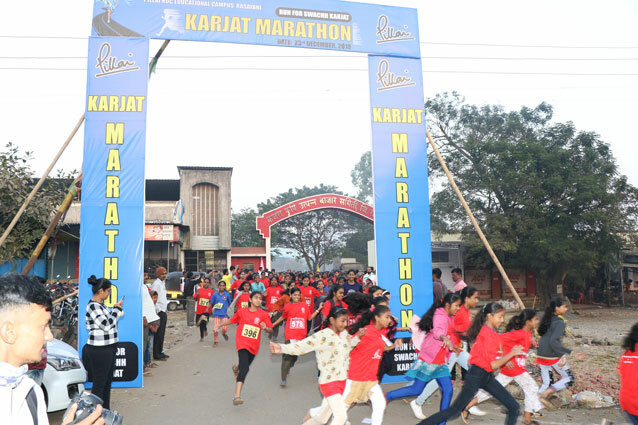 It was the 2nd consecutive yearly marathon happening at Karjat which is flagged of by The Taluka Tehsildar and Municipal chairperson Mrs. Rajani Gaikwad. While addressing the crowd the dignitaries congratulate Pillai Group of Institutions for their initiatives in sports and socially important events. Cash prizes worth lacs, certificates, medals and trophies awarded to the winners of all the categories by Mahatma Education Society. 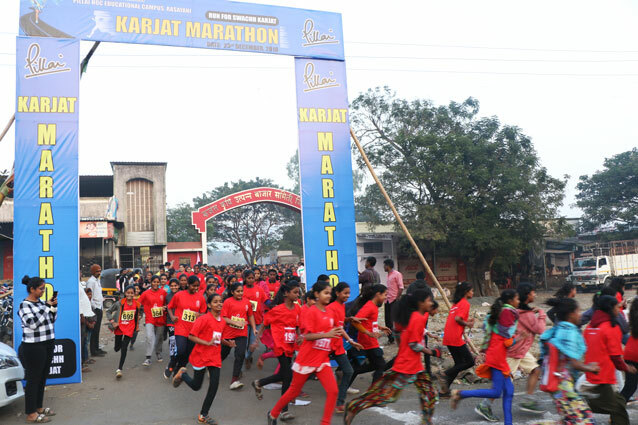 The race starts from Krushi Utpan Bazar Samiti ground and went towards Kadav-Tata Plant road and return to the Bazar Samiti ground after passed through various token points. Karjat Tehsildar gave away the prizes in the presence renowned personalities and sports persons of Raigad district. Pillai Group Director of Sports Mr. Padmakshan Padmanabhan and the principals of various Pillai Group of Institutions also attended the event. 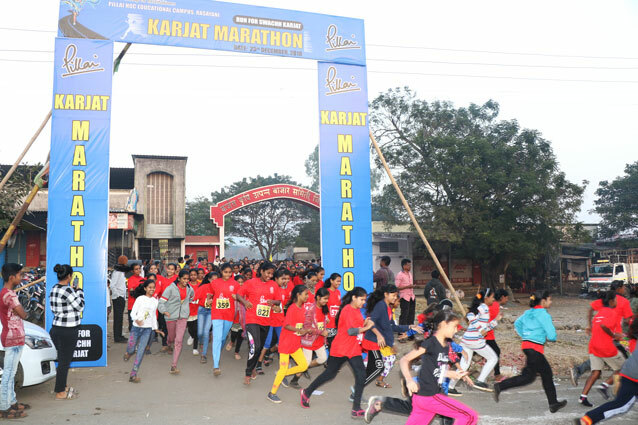 The response from the people as a whole is tremendous and encouraging as it is the one and only mass marathon happening at Karjat. Soon after the Marathon Pillai students and NCC cadets conducted a cleanliness drive in the area which is whole heartedly appreciated by many locals. The numbers of participant were beyond our expectation- Said Padmakshan Padmanabhan, Director of Sports and Organizing Chairman of the event.